Did you know that the average person buys 60% more clothes and keeps them for half as long as they did 15 years ago? Kind of staggering, right? So, in the spirit of loving what we have for longer, I thought I’d focus on finding fresh ways to be inspired by what you already own. Do you have a pair of jeans and boots? Thought so, which is why I pulled seven fresh outfit ideas straight from the streets of Paris, where fashion week just concluded. Many of the looks can be easily accomplished by just adding a standout accessory or a bright pop of color, which I assume you have hiding in your closet as well. 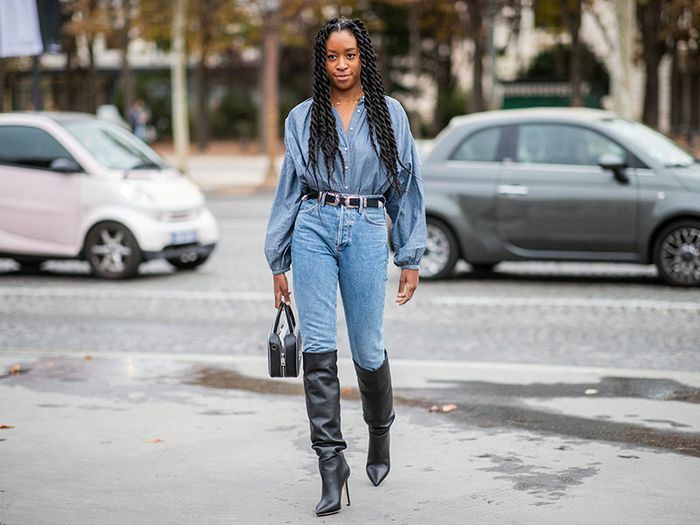 Without further ado, scroll down to check out the best six jeans-and-boots looks to pop up in France. 1. Tie a patterned silk scarf around your neck. 2. Pop on a pair of statement sunglasses. 3. Embrace the Western trend with a Canadian tuxedo. 4. Keep it simple with our classics, like a check trench. 5. An unexpected pop of color is always eye-catching. 6. 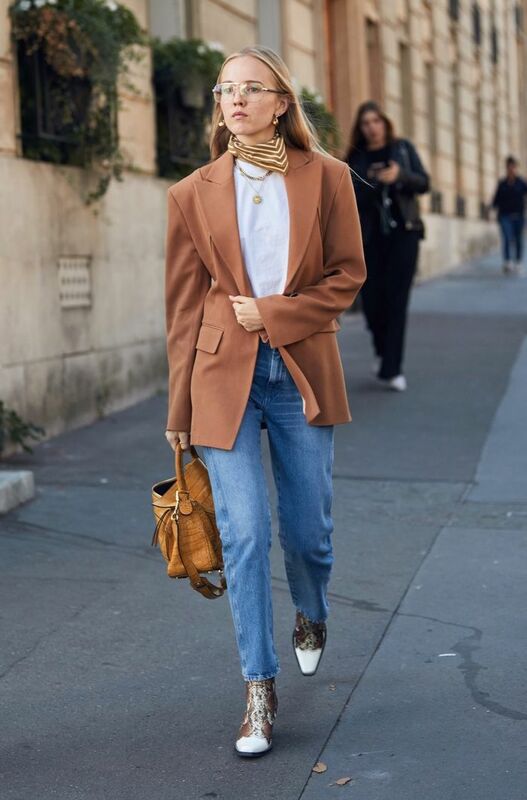 Give an extra dose of style to your button-down by layering a turtleneck underneath. Next up, check out the under-$100 boots we're eyeing this fall.